Today one of my client asked me, what is the default password of NSX Edge Devices deployed by vRA and vCloud Director. Answer is, there is no default password. 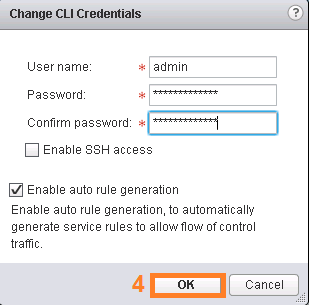 Administrator must configure the password of NSX Edge, if they want to access the CLI of this Edge device. At least one special character. 0 Response to "Password of NSX Edge Devices deployed by vRA and vCloud Director"